Will Altcoins rise again ?Which are best to buy now ? So are back again with another interestting blog for you guys, as most of you were asking for the future of Altcoins as of now. Looking back 2-3 years only bitcoin and few altcoins were prominent in the market.But now with almost 1800+ different coins in the market and many more to come, everyone is worried about altcoin future now.Majority of them are ERC20 based.Some of the are working on Neo blockchain too and lot more.But certainly very very few of the coins will survive, thats the bitter truth. As mentioned above, there is cut throat competition between altcoins now in the crypto market.Many of the times -34 altcoins are working on the same idea and with same vision.It is always advisable to invest in top 100 altcoins in the market.Although rankings in the market keep on changing, our outmost advice is to keep an eye on the market on regular intervals. WHY MAJORITY OF ALTCOINS ARE IN YEAR'S LOWEST PRICES ? Now comes the main question, why altcoins are falling regularly.Look at the Btc dominance it is over 50% now.Btc dominance is 2018 ATH.Major crypto whales and investors are in no mood of buying alts right now.Their only focus is Bitcoin now.The same was happening last year too, when Btc doinance crossed 50% and altcoins bleeded badly.ay be Btc dominance can increase more, that means alts will bleed further more. 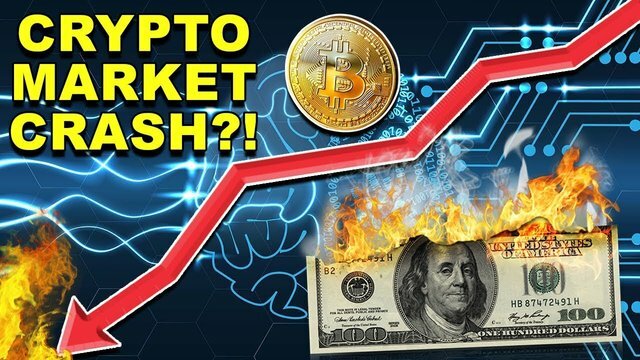 It is not that the other coins team are not working properly actively but the market crash mostly harms the altcoins.If Btc drops even by 5%, altcoins fall by 10-20%.Majority of the altcoins are 90% down from their ATH.This will be the best oppurtunity to get hands on them now, but buy in parts.Who knows what will happen later. Crypto market is very unstable and unpredictable now.But as of now which 9 ETF approvals in september, we are very much bullish in the final quarter of 2018.May be it will break all its previous records, or can make us to hold even longer.Only time will tell us.Be patient, the blockchain technology is here to stay. Don't forget to comment down your opinions below, see you there. @moneyguruu Luck has a funny way of coming into people’s life. It follows hard working people wherever they go and does a no show for all the slackers. Congrats, you deserved to be the lucky one. No matter how big a crowd may be, a person like you always stands out! There’s no one who has worked as hard as you have in the last years. Now your efforts effort have paid off. Congrats! Awesome post sir! But What about Etherecash Future ?? @moneyguruu Wow sir,, What is the secret of your success on Steemit? WARNING - The message you received from @minzir123 is a CONFIRMED SCAM! sir , you doing such a tremendous work man!! i absolutely agree with your word thanks for support :-) !!!! The main thing is that 1800+ alt coins are on CMC listed while more than 2000 coins are apart from list. And either they are in ICO or planning to release their ICO in last quarter. And more than 70% alt are Ethereum Blockchain based. It means demand of dApps, solidity and Ethereum network is high. Now comes on my question that is price of ETH that is really shocking. And Ethereum is below $325, 5 times down to ATH. So what do you think about ETH and starting of the year everyone was expecting that ETH will cross Bitcoin in 2K18. So, there is any loss for ETH because there are few new platform came for dApp like EOS and few more..
My Last question is that I wanna know about AVINOC ico.?? Is it time to buy or wait for more dip in Altcoins ?? When will come bull run for Altcoin??? Sir @moneyguruu according to you which are top coin to invest? Sir @moneyguruu , I am waiting for bull run. @moneyguruu sir I'm agree with you crypto market is totally unstable and unpredictable. Sir I'm stuck in Electroneum what should I do???? The option I can see is only HOLD..
At last all the great projects would crest and knolegeable people who have invested in them would gain profit. It's the only truth. Digital currency is future no matter what. Just think of a time people living on diffent planets, they would certainly do business in digital units. We are in phase one, resurrecting these coins. Thanks for sharing this informative articles. Hi @moneyguruu all the alts are way down as on today. If we look exactly one year back then current price is still a bit higher than last year. Anything can happen in crypto market and we never know. Price of alt coins are highly dependent on bitcoin so if btc price recovers in coming weeks then we can see growth in alts as well. Now talking about etf, if I am not wrong then last year bull run was not because of etf so this year if there is no ETF approval then nothing to worry. There are many other factors involved in market increase and etf is just one of them but please make a note it's not 100% only etf. What you say on this Mr Kapoor ? There can be n no of factors but one factor is sure to work which work not only in cryptos or stock exchange but in every field of life and that is.. "What goes down will come up"
You said rightly there are Alt coins are working on the same concept and there is tough competition among them. Everyone excepting Btc will reach ATH by the end of this year. Which are the best Alt coins will buy now? @moneyguruu exlent information. Thanks for all your post for earning source. Always grow up & success. Perfect and Accurate scenario in time. It is beginning of something BIG ,And the crypto is famous in all over the way .Now .Accepting and adopting crypto and blockchain technology people are getting aware.So, Dont' worry about it .It will grow and grow and grow.Just put the eyes on ETF apporoval and India Court decision .It can be the biggest pump again. 11 september ko kya hoga please apni ray de..Thanks I support crypto. Take time to do research on various alt coins before investing in them. I would like to think coins focused on being used as currency have a chance of doing well. The people from countries like Zimbabwe, Venezuela and more recently Turkey would be a little safer financially if they consistently invested a small percentage of their earnings in crypto currency over time. Cryptos are here to stay. Sir as always, your advise help us to grow ! Thank you ! @moneyguruu yaah that's right. No one predict now. But this is oppurtunities to buy ALTCOIN for long term investment. Hope bull run comeback, so we all are happy. Everything from price manipulations, futures market, negetive news and media created FUD.. see after Bitcoin futures entering the market those big pocket investors who belived bitcoin is overpriced got an opportunity to invest in it.. They started shortselling so that price is corrected and they will test it to what extent it can be reduced but as even Sumit sir said a time will come when they will have to do exactly the opposite.. Just wait for that time. @moneyguruu well I own a few alt coins for the past few months. Should I hold them or sell them? Considering the ban on crypto trading in India? Dint get one thing.. How come you are having only 0.57 earning even after so much discussion and upvote from and outside of the community?? Glad to be here sir i am one of your youtube subscirber. Thankew for Providing us knowledge and for Supporting us..
Why BTC improved in a single day yesterday? Any idea? what about electroneum and doge coin ? i think, etf will approve in september30 of sec meeting and then bullrun will start in october . sumit kapoor sir i am very gled to see your post and i also think that it will growup again.